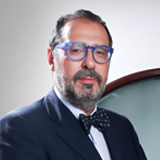 Dr. Maurizio is an Italian board certified Otolaryngologist. He is also the Chief of the Otolaryngology – Head and Neck Surgery Department at the Hospital “S. Giovanni di Dio e R. d’Aragona” in Salerno, ITALY. Specialization in Otolaryngology at the School of IIa Faculty of Medicine and Surgery, Naples. Surgery of Naples. Dr. Maurizio holds a Doctorate degree from the University of Freiburg (Germany) (1988). Facial Plastic and Reconstructive Surgery: cosmetic, functional, and reconstructive surgical treatment of abnormalities of the face and neck and ear. Treats: Deviated Septum, Rhinoplasty (Nose), Face Lift, Cleft Palate, Drooping Eyelids, Hair Loss & Other Ear Deformities. Laryngology: disorders of the throat, including voice and swallowing problems. Treats: sore throat, hoarseness, swallowing disorder, gastroesophageal reflux disease (GERD) & infections. Otology/Neurotology: Diseases of the ear, including trauma (injury), infection, benign tumors, and nerve pathway disorders, which affect hearing and balance. Treats: Ear Infection; Swimmer’s Ear; Hearing Loss; Ear, Face, Or Neck Pain; Dizziness, Ringing in the Ears (Tinnitus). Pediatric Otolaryngology: Diseases in children with special ENT problems including birth defects of the head and neck and developmental delays. Treats: Ear Infection (Otitis Media), Tonsil & Adenoid Infection, Airway Problems, Asthma & Allergy/Sinus Disease. Rhinology: Disorders of the nose and sinuses. Treats: sinus disorder, nose bleed, stuffy nose, loss of smell.